AHH!! I am so excited for this blog tour to begin!! 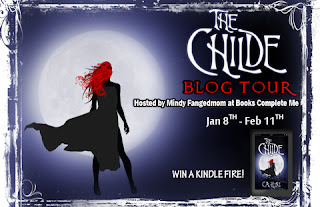 All through January and part of February a huge Blog Tour for the book "The Childe" By C.A. Kunz is going to be going on . There are going to be tons of different and fun posts through the tour and tons of reviews on the first novel "The Childe" and the second novel "Dark Days". I have read "The Childe" and it was amazing!! You can check out my review here. To add on to the excitement i will be doing two posts for this tour. I will doing one on Wednesday, January 11th, called Author This or That and then another on Monday, January 30th, for my review of "Dark Days". So be sure to look out for those. The last bit of excitement is HUGE. Tomorrow, the first day of the tour, January 8th, there will be info about a giveaway that will end on the last day, February 11th. Make sure you check out that post, because the giveaway prize is a brand new Kindle Fire!! Make sure you check out this amazing series and check out all the fun stops on the blog tour. For more information make sure to follow C.A. 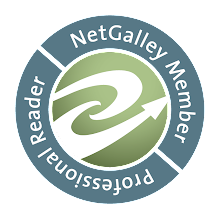 Kunz on twitter at @AuthorCAKunz and check out their blog: Author C.A. Kunz to know who is posting next on the blog tour to make sure you get a chance to find out about the giveaway and most importantly to find out about this amazing series. Hope you check it out!! Awesome, thanks for checking this post out. Yea my winter vacation is over on Monday too and i start up my Winter Semester at the university. Sad day all around lol.